Caviar, Black Orchid, Malachite, White Truffle, Silver and Gold - Don't they sound so tasty, aromatic and precious? 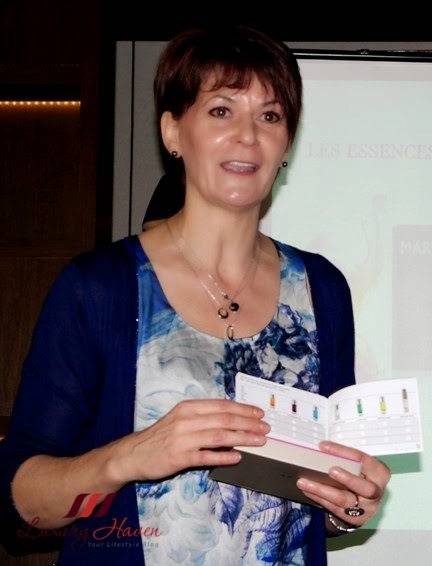 Maria Galland has recently launched Le Essence, a luxurious skin care range. 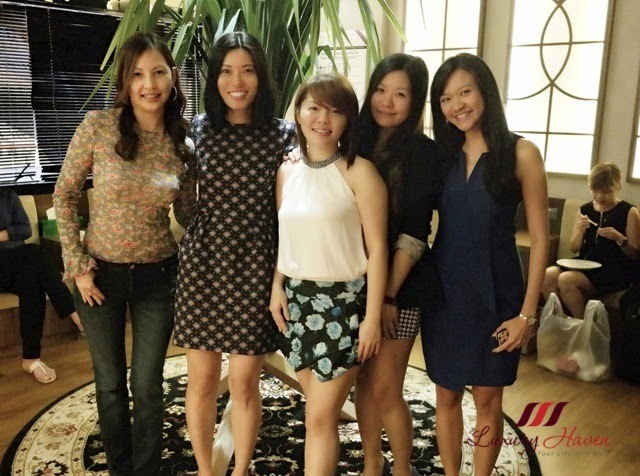 Together with beauty editors, I was at Spa Symphony to witness the scented event and got to take home the Maria Galland Le Essence kit too! 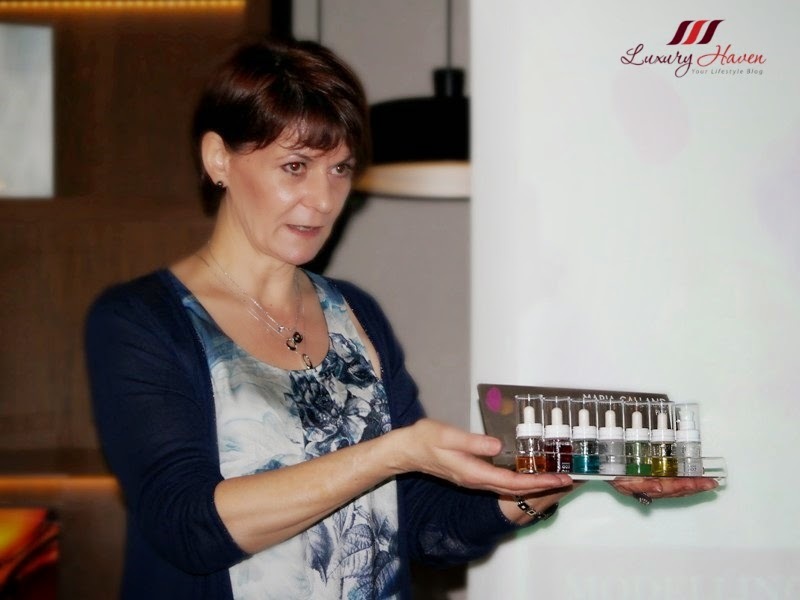 The event saw Maria Galland's International Trainer, Odile, introducing Le Essence to the exclusively invited guests with product testing. Soon, we were completely hypnotized by the whiff from the luxurious droplets on our hands. Caviar, one of the most valuable and sought-after care ingredients, makes this highly effective essence an essential and luxurious anti-ageing care product. It supplies the skin with everything it needs, leaving it feeling soft as velvet. Precious oil of the black orchid combines with valuable macadamia nut oil to help the skin unwind and allow it to quickly regenerate. This exotic beauty pampers the complexion, leaving it soft and supple, and smoothes the skin contours. Malachite is the gentle care solution for sensitive skin prone to redness. The extract of this precious stone soothes and calms irritated skin and instantly brings it back into balance. The light, pleasant gel texture gives the skin an instant feeling of well-being. White summer truffle, a rare gem from the forests of the South of France, is the key ingredient of this moisturising essence. The hydrating properties of this culinary treasure moisturise and refresh the skin, giving a radiant complexion. A special creation of high-quality silver relieves the skin of excess sebum and refines the pores, making for a beautiful, clear complexion. A special micro-silver complex protects against irritation and blemishes and has a mattifying effect. Gold, the symbol of eternal beauty and everlasting radiance, re-energises tired skin. The most precious element of the GOLD essence, 24-carat gold, revitalises and smooths the skin, transforming it into the most beautiful accessory. Hyaluronic acid, the main component of this essence, intensively moisturises the sensitive area around the eyes, smooths fine lines and reduces puffiness. It regulates the skin cycle and supplies the skin with vital nutrients, thus restoring its radiance. This multifunctional anti-ageing concentrate is ideally suited for the delicate eye area. 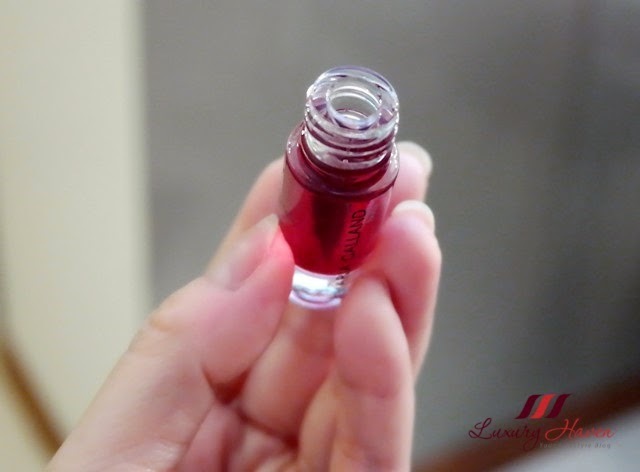 The above essences, in flacons of 3 lasting 6 days, will be put together specifically for you by your beauty therapist, and is completely tailored to the condition of your skin so that it can be optimized within this period of time. For one application, use half of the contents of the flacon. Apply to neck, face and décolleté in the morning or evening, and massage in gently. Then apply care cream. As I am currently undergoing laser treatments for the pigmentation on my cheeks, I sought the advice of Maria Galland's International Trainer, Odile, on what is best for my skin. Odile selected the White Truffle ( moisturising ), Black Orchid ( regeneration ), and Gold ( revitalising ), and arranging them in sequence for my use. I followed the instructions diligently, pampering my skin with the serum starting with Maria Galland Le Essence White Truffle 004 as advised. I adore truffles as you can see from my strings of food posts, but putting them on my skin was an exciting experiment. The White Summer Truffle is rich in amino acids, minerals and trace elements, and provides the skin with an intensive and continuous supply of moisture. I am also an aficionado of products with hyaluronic acids to treat my dehydrated skin, so I am delighted to learn that the essence is made particularly effective by an exclusive combination of hyaluronic acids on different molecule levels that builds a long-term store of moisture in the skin. The Maria Galland Le Essence White Truffle is light and refreshing with a pleasant scent. I love how the serum is easily absorbed into my skin, acting like a thirst quencher and leaving my skin revitalized. Next, I moved on to my favourite Maria Galland Le Essence Black Orchid on the 3rd night. The rare extract from the black orchid protects against environmental influences, temperature and moisture changes, making the essence an indispensable travel companion. With a composition of roses, hibiscus, frangipani, jasmine and almond, the Black Orchid smells so good, turning me into a bottle of walking perfume. This essence is suitable for any skin susceptible to dryness and whose hydrolipidic barrier needs to be brought back into balance. 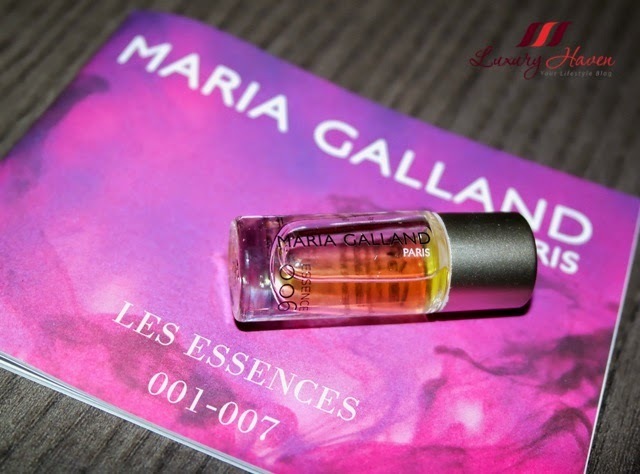 Following the black orchid, I jumped onto my last serum - the Maria Galland Le Essence Gold. An exclusive energy extract of 24-carat gold makes this essence truly unique. The gold-coloured gel has a refreshing fragrant resembling alcohol. Although I like the scent and how it helps to replenish my skin making it more radiant, I found the serum a little sticky for my liking. Interesting to note though, the Maria Galland Le Essence Gold contains extract of Amber, which is known for its remarkable powers with detoxifying effect and revitalizing properties. Tripetides, with a Botox-like effect give the facial expressions a softer and more relaxed appearance. This essence is certainly great for skin lacking energy and lustre. Inhale as you apply these " perfumed " essences for an uplifting aromatherapy session at home. I like the fact that the 6-day intensive treatment can be combined with your usual skin care products so you won't have to put away your usual beauty regimen. With LES ESSENCES, Maria Galland is revolutionising its legendary Modelling Mask Treatment and setting new standards in the world of beauty with the next generation of this unique method of treatment: Depending on the present needs of your skin, the essences are applied to the different skin zones in accordance with the “mosaic technique” before the mask is applied. This intensifies the effectiveness and the instant visible effect. To prolong the effect of the treatment, your Maria Galland beauty therapist will put together your own individualised intensive treatment set for use at home. Priced at SGD 228, your Home Treat Set comes in an empty coffet whereby your beautician will slot in 3 essences + the Hyaluronate Eye Gel for a 6-day intensive home cure treatment. Sadly, the stock for the Hyaluronate eye care was not available at the time of press but I am certainly looking forward to receiving the Essence 007. 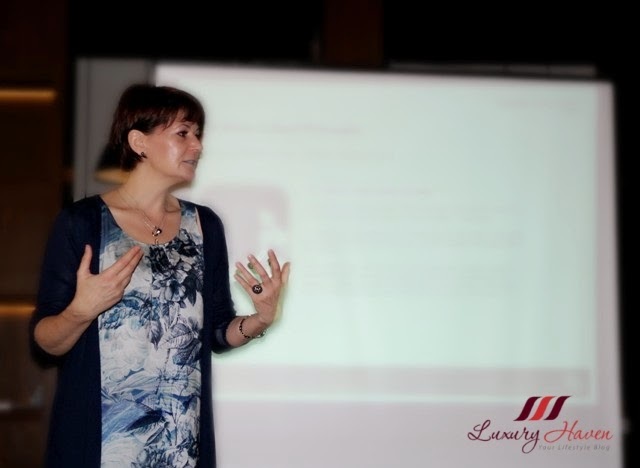 Are you a fan of Maria Galland too? If you have been following my blog, you would have read some of my beauty reviews like the Maria Galland Luxe Collagen, or the Maria Galland Cocoon Hand Mask, each delivering promising results. 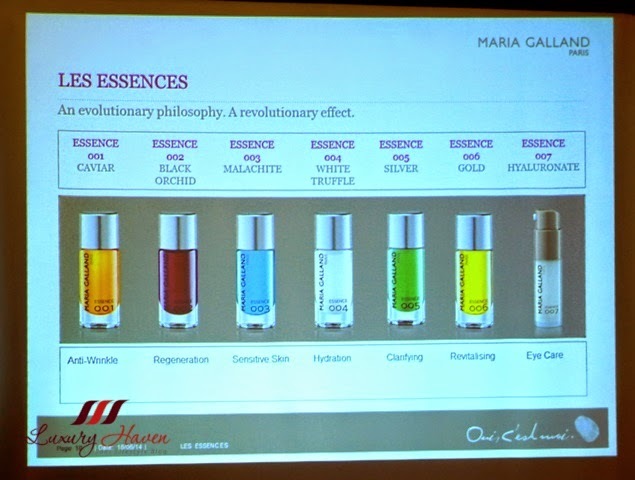 Well, I am certainly looking forward to my next facial with my beauty therapist using Maria Galland Le Essence. 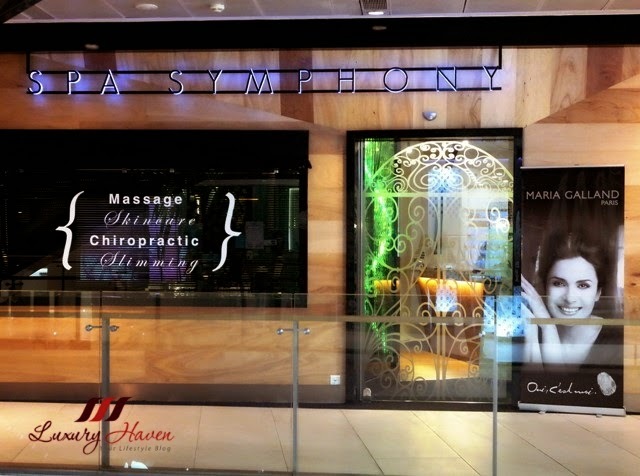 Contact your nearest beauty salon now for a truly extraordinary experience! So luxurious. I could not afford it. Wow interesting anti aging product like that is in different shade of color so you know what you getting. Doll your skin looks flawless. Whatever your regime is, it's working!!! 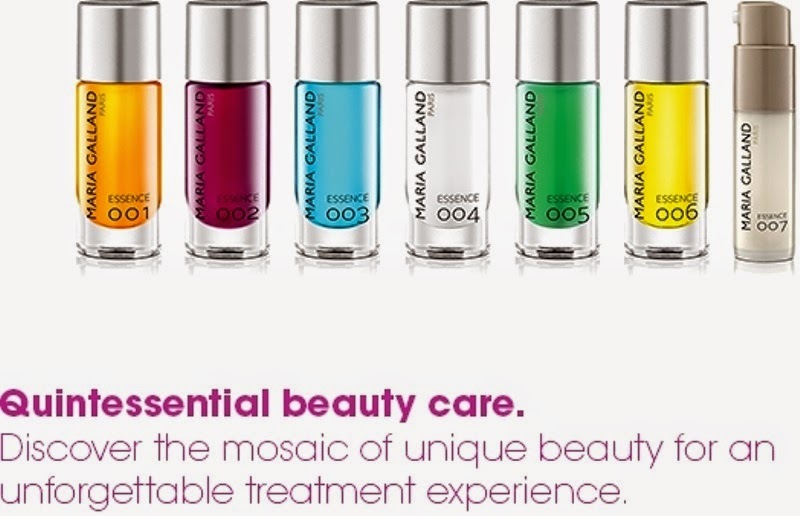 Maria Galland is really a great beauty brand; i ve tried for 1 month caviar luxury treatment and results were so good! What a pretty group of ladies in that first pic. Great post, Shirley, and your photos are lovely! The packaging is attractive as well! Great review, I almost can smell these essences. Btw, those jeans look great on you.Have a wonderful week! Gosh!!! Loved. I am so tempted. nice packaging and awesome scent. so cool event. Very interesting products. These essences sound amazing Shirley! how lucky you are to try them! These products look and sound so luxurious and amazing! Thank you for sharing this info. Very useful for ladies who look after their skin well. Brilliant event! Looks like tons of fun!